The ICD-11 proposes different types of prolonged trauma as risk factors for complex PTSD (CPTSD). However, CPTSD's construct validity has only been examined in childhood abuse, and single trauma exposure samples. Thus, the extent to which CPTSD applies to other repeatedly traumatized populations is unknown. 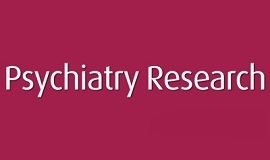 This study examined ICD-11's PTSD and CPTSD across populations with prolonged trauma of varying interpersonal intensity and ages of exposure, including: 1) childhood sexual abuse, 2) adulthood trauma of severe interpersonal intensity (refugees and ex-prisoners of war), and 3) adulthood trauma of mild interpersonal intensity (military veterans, and mental health workers). In support of the proposal, latent class analysis (N = 820) identified, a 4-class solution representing "PTSD", "CPTSD", and "non-pathological" classes, but also an "Anxiety symptoms" class, and an alternative 5-class solution, with a "Dissociative PTSD-subtype" class. ICD-11's CPTSD was not exclusively associated with childhood abuse, but also with exposure to adulthood trauma of severe interpersonal intensity. Furthermore, all types of prolonged trauma were equally associated with the "Anxiety symptoms" class. Finally, of all the classes, the "CPTSD" class was associated with the highest frequency of work-related functional impairment, indicating an association between the severity of prolonged trauma exposure and the level of posttraumatic residues.